We love what we do. The passion we have for our work enables us to take ownership of our clients' projects. We constantly strive to deliver the highest-quality products possible. There is no greater satisfaction than delivering a finished product that helps a client reach their goals and objectives. To learn more about our approach to customer service, follow the provided links for more information. We're honored to have had the privilege of serving you for over 40 years. We are excited to continue our excellence in customer service and superior quality for many years to come! 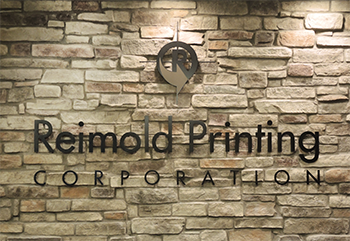 Reimold Printing Corporation is a full-service communications firm focused on delivering creative printing solutions, strategic campaign marketing, and exceptional customer service in the Great Lakes Bay Region.